Notice that I said types of diapers and not brands. I have noticed many times that when moms get together and discuss cloth diapers, they speak only in brands. But I am hear to speak in types and designs. Kleenex is a brand name, remember? A tissue is what you blow your nose in. 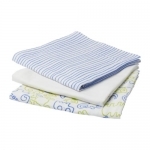 This is the most basic of diapers and is exactly what it sounds like - a flat sheet of cloth that you use as a diaper. There are several ways to fold these, but they do not have a closure of their own, so you will need pins or Snappis. They also require a waterproof cover. While these do take a little more time (especially when they get mobile and do not want to lay still!! ), I enjoy these for the simplicity. They are the easiest of all diapers to care for and dry in no time. Generally what people have in mind when they think of cloth diapers, these are rectangular diapers made with several layers of fabric with a thick layer in middle. These must also be folded and held close with pins or snappis. Another option for these is simply to tri-fold them (as the rectangle is divided into three sections) and lay them in a cover. This is the easiest way to do it, but it isn't my favorite because you need a GOOD cover to prevent blowouts, you go through more covers this way, and they can sometimes look bulky. 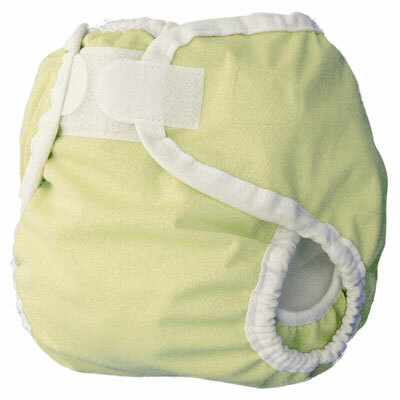 These diapers have the typical hourglass shape of a diaper, but they do not have elastic in the legs. 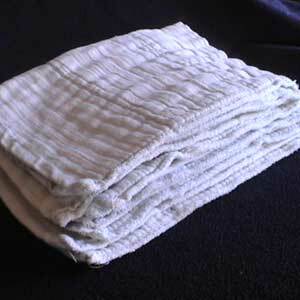 They are a lot like prefolds in that they are flat and have an absorbent middle, but they do not have to be folded. They also require a waterproof cover and some kind of closure. These look much more like what you picture when you think of a diaper. They have the traditional hourglass shape but also have elastic in the legs and sometimes the back. 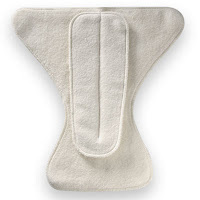 The absorbent layer can be either sewn-in or snapped in and out for faster drying. Most fitteds come with velcro or snap closures but can also require a separate closure. They still require a separate cover. These diapers are just like disposables (but much cuter!) and just like the name suggests, everything you need in that one diaper. 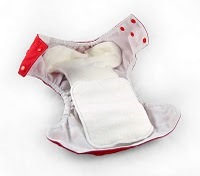 It has a sewn-in absorbent layer, a velcro or snap closure, and a waterproof outer. While these require the most care (they are prone to build up and can take a long time to dry), they are the easiest and are great for when you are out and about. Like AIOs, these have everything you need in one diaper. The only difference is that the absorbent layer is not sewn in and instead must be snapped in or layed in. 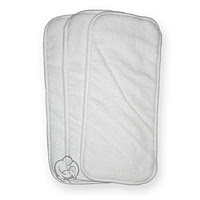 Like AI2s these come with a closure and a waterproof outer, but the absorbent part is not sewn in. Instead, it must be stuffed inside a pocket. Covers do what the name says, they cover a diaper to keep the moisture in. 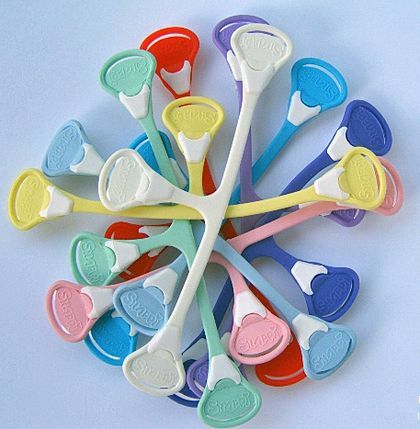 They can close with snaps or velcro, can be pulled on, or be made in the form of pants or shorts. There are four types of covers - polyurethane laminate or PUL, wool, polyester fleece, and rubber pants. Rubber pants are the old types of covers that are not used by many people anymore. PUL is fabric that has been laminated with a special plastic coating that makes it waterproof. Covers made of this can be reused several times without being washed unless it gets soiled. If it gets wet, it can simply be allowed to dry before the next diaper change. Polyester fleece is not waterproof but is extremely water resistant. It makes an inexpensive cover but if thin can lead to compression leaks (when pressure is put on a wet diaper and the moisture moves out of the diaper). Wool is by far the best choice in my opinion, though it can be the most expensive and often requires special care. It is also not waterproof but can absorb 2/3 of its weight. It is natural and has antibacterial and antimicrobial properties. 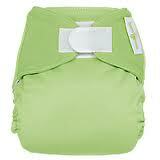 Despite its thickness it breathes well and allows air to circulate to keep baby's bottom at a natural temperature. Though these two terms are often used separately, they are essentially the same thing. They are a fabric pad used to add more absorbency a diaper. Just a little thicker than a doubler, these are used to stuff pockets. So what is my favorite? Flats. 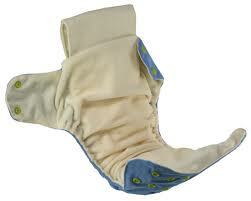 I just knew before I started that I would only cloth diaper with AIOs, but I prefer the simplicity of a flat. I also like prefolds and fitteds and the Kid is often in one of the first two sans cover. But this is only advised at home with a mobile child. When I am out I do prefer pockets and AIOs just for their ease of use.